Making the decision to use your home as a vacation rental can scary. Not only is home-sharing a new phenomenon for most, but with so many options the process can be downright confusing. As technology advances and vacation rental platforms proliferate, we’re overwhelmed with options. Between Expedia, TripAdvisor, HomeAway, Booking.com, Airbnb, and more, who do you chose? As a guest looking for a place to stay, the decision can be simple: you do a Google search, pick the best deal, and read a few reviews. As long as the price is good, and there’s someone to contact, the choice is easy. The process as a host can be much more daunting, because your home is on the line! No wonder its so hard to choose. There are many options to choose from, and its even tempting to list your property on multiple sites to maximize exposure (spoiler alert! – this approach is a logistical nightmare). But fear not! There’s no need to get overwhelmed. Through years of experience and trial and error, we are here help you learn from our mistakes. Over the years we’ve found that not only is Airbnb the best platform for listing your vacation rentals – it’s the only platform worth using. Airbnb is one of the only vacation rental platforms that handles payment. Many other platforms expect the host to collect payment directly from guests. It may seem like a small trade-off, but it’s actually a lot of additional responsibility for the host. Payment often has to be done in person, which eliminates the possibility of automating your rental, and perhaps most importantly, payment has to be taken correctly! As a host, you are responsible for ensuring payment goes through, all the while dealing with declined credit cards, insufficient funds, collecting damage deposits, and tracking down money that has slipped through the cracks along the way. This process is time consuming and stressful, and quite frankly, it gets awkward chasing after your guests when their credit cards bounce. Airbnb depersonalizes the payment process by taking care of it completely. This makes the experience more professional for both host and guest. The process is streamlined and stress-free. Airbnb takes payment directly from guests within 24 hours after they book, and then pays the host within 24 hours of check-in. They also allow you to receive payment by direct deposit, Paypal, and more. The Airbnb payment process is predictable, and when it comes to money, we can all agree predictability is the best outcome. Insurance alone is a huge incentive for choosing Airbnb as your sole vacation rental platform. Other platforms require you to get your own insurance, which is very difficult for vacation rentals outside traditional vacation zones – ie. hosts in Vancouver. Other platforms also offer no assistance to hosts in the case of damages; they expect the host to collect a damage deposit separate from the cost of the rental. In some cases, the process of collecting separate damage deposits doesn’t even make sense; for example, if you’re using Stripe for payment, they return damage deposits after 7 days, so if your guest is staying longer than 7 days, you have to collect a second damage deposit. To put it gently, this process is a huge headache! In addition to being responsible for collecting damage deposits, if damages do occur, and they exceed the amount of the deposit, you’re usually on your own and out of luck. Vacation rental horror stories are few and far between, however doing everything you can to avoid the risk is essential to having a smooth experience, and using Airbnb eliminates a lot of that risk. Airbnb offers Host Protection Insurance that covers property damages and bodily injury should a guest suffer an injury during their stay. 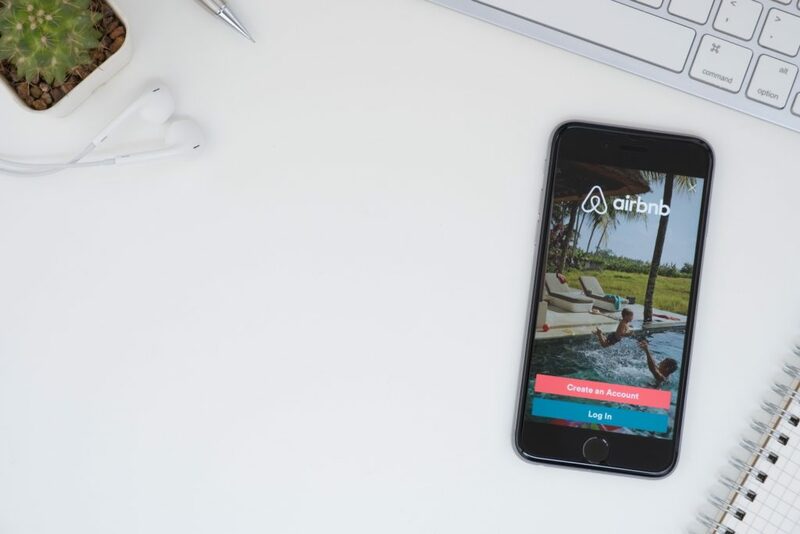 In addition to insurance coverage, Airbnb offers The Host Guarantee, which covers damages to personal possessions, at no additional cost to the host. Airbnb also acts as a mediator for all disputes between hosts and guests, and settles the claims. In short, Airbnb takes care of their clients. We’ve hosted over 1500 guests and have been through the Airbnb resolutions process more than a few times. Each time, we’ve been grateful to have the team at Airbnb assisting us in finding a resolution with guests. When dealing with damages under other listing platforms, we’ve always come up short of finding a resolution, especially with larger claims. Play it safe, and use Airbnb. You won’t regret it. Most platforms will commit to taking care of guests if a host cancels, but they often leave the host high-and-dry should the reverse happen. Many vacation rental platforms expect the host to set their own cancellation policies and collect penalties manually if needed. This can be a hassle, especially if credit cards bounce. Airbnb, on the other hand, covers both host and guest against cancellations and pays out accordingly. Airbnb clearly defines their Host Cancellation Policies, and they give the host the ability to tailor their contracts with guests by setting their own rules. When using platforms other than Airbnb, if you cancel on your guests, you are required to relocate your guests and cover the expenses associated with the move. This means that not only do you make 0 dollars, but you spend money correcting the mistake. You’ll be sent to collections if you don’t follow through. Airbnb charges a cancellation fee, however it’s a mere $50-100 for the entire reservation, compared to the cost associated with putting a group up in a hotel for multiple days. This point alone makes Airbnb worth it. It may seem like ‘user-friendly’ is secondary when it comes to choosing a vacation rental platform. But a good browsing experience is crucial to feeling satisfied with your overall rental experience. Sites like booking.com and expedia.com have easy-to-use sites for guests. However, for hosts, we are faced with a back-end-platform that is arduous and complicated. Airbnb is intuitive and simple for hosts and guests alike, which makes the process more enjoyable, and much more efficient. Airbnb has an easy to access Help Centre and Contact page where you can ask any questions you may have, and you’ll often find the answers you need within minutes. It’s also worth mentioning that plugging your questions about Airbnb into google will often link you directly with an answer. Setting up a listing on the Airbnb portal can take 30-60 minutes. In that time, you can have a listing live on the site. Other sites require multiple “on-boarding” calls to verify your property and make sure you know how to use their platform. This can often take up to a week. Airbnb has a modern pleasant design, a friendly vibe, and above all it’s simple to use. Apple users understand the importance of good design, and Airbnb has the cleanest platform for hosts. This enhances the experience,saves time, and makes you money! Taking the leap into the world of vacation rentals doesn’t have to be frightening or overcomplicated. Airbnb ensures that you are taken care of, and that the process is simple and consistent. Using Airbnb takes the stress out of collecting payments, dealing with cancellations, and worrying about insurance. This leaves you free to reap the benefits of renting out your home! Airbnb is the best platform for hosts, but don’t just take our word for it, give them a try! Use our referral link to get 25 dollars CAD in free travel credit. And if you want to relieve even more stress associated with renting out your home, reach out to us at Heart Homes. We’re here to help. *Footnote: We are hold no stock in Airbnb, and this is not promotional material. The opinions above are our true and honest appraisal of Airbnb and its competitor platforms. ** If you need 3rd-party insurance, we’ve got you covered.